Editorial board: Audrius BEINORIUS (Vilnius University, Indian and South Asian Studies), Manfried DIETRICH (University of Münster, Ancient Near Eastern and Biblical Studies), Peeter ESPAK (University of Tartu, Ancient Near Eastern Studies), Sebastian FINK (University of Innsbruck, Ancient History and Ancient Near Eastern Studies), Frank KRAUSHAAR (University of Latvia, Chinese Studies), Tarmo KULMAR (University of Tartu, Comparative Study of Religions), Jaan LAHE (Tallinn University, Religious History of the Roman Empire), Sergey LEPEKHOV (Institute for Mongolian, Buddhist and Tibetan Studies of the Siberian Branch of the Russian Academy of Sciences, Ulan-Ude, Buddhist Studies), Victoria LYSENKO (Institute of Philosophy, Russian Academy of Sciences, Moscow, Indian Studies), Jaan PUHVEL (Distinguished Professor, Emeritus, University of California, Indo-European and Anatolian comparative philology and linguistics), Vladimir SAZONOV (University of Tartu, Ancient Near Eastern and Islamic Studies), Siddharth SINGH (Banaras Hindu University, Buddhist Studies), Ülo VALK (University of Tartu, Comparative Folkloristics). Vol. 3. Tarmo Kulmar, Märt Läänemets (eds.). 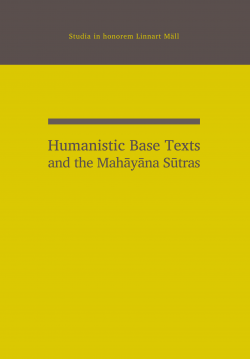 Humanistic Base Texts and the Mahāyāna Sūtras. Studia in Honorem Linnart Mäll. 2008. 374 p. ISBN 978-9985-4-0540-6. Vol. 5. Märt Läänemets, Teet Toome (eds.). 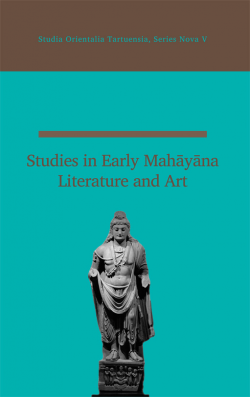 Studies in early Mahāyāna literature and art. 2012. 126 p. ISBN 978-9985-4-0692-2. Vol. 6. Peeter Espak, Märt Läänemets, Vladimir Sazonov (eds.). 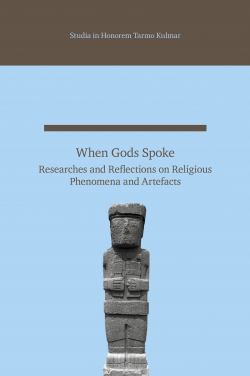 When Gods Spoke: Researches and Reflections on Religious Phenomena and Artefacts. Studia in honorem Tarmo Kulmar. 2015. 435 p. ISBN 978-9949-32-980-9.